The stock was up 10% to Rs 198, rallied 53% from its 52-week low of Rs 129 touched on February 8, 2019, against 1% decline in the Nifty 50 index. Shares of Tata Motors rallied 10 per cent to Rs 198 apiece on the National Stock Exchange (NSE) on the back of heavy volumes after the company denied the reports of exploring options for Jaguar Land Rover Automotive Plc (JLR) including stake sale. "There is no truth to the rumors that Tata Motors is looking to divest its stake in JLR and we would not like to comment further on any market speculation," the company said in a regulatory filing on Friday after market hours. With today’s gain, the stock of Tata Motors has soared 53 per cent from its 52-week low Rs 129 touched on February 8, 2019, in the intra-day trade after it reported the biggest quarterly loss of Rs 26,961 crore in the December quarter. In comparison, the benchmark Nifty 50 index was down 1 per cent during the same period. 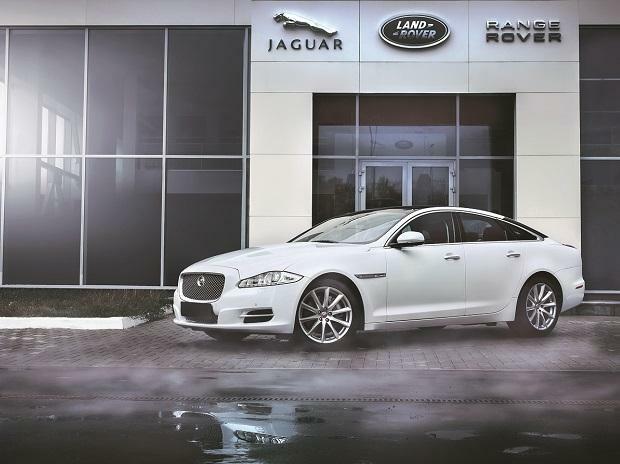 The net profit during the quarter was impacted by an exceptional item of asset impairment of JLR of Rs 27,838 crore. It had posted a net profit of Rs 1,199 crore in the year-ago quarter. Tata Motors said the JLR performance was impacted by challenging market conditions, particularly in China and inventory corrections. The company continues to invest in exciting products and leading edge technologies. It is taking decisive actions to make the business Fit for Future by stepping up competitiveness, reducing costs and improving cash flows. Analysts at JM Financial expect current headwinds in China and EU to subside by the end of CY19. Steady growth in domestic PV/CV business, volume recovery in JLR and favourable currency are expected to drive revenue CAGR of 6 per cent over FY18-21. The brokerage firm maintains ‘buy’ rating on the stock with a target price of Rs 230 per share. Meanwhile, Tata Sons, promoter of Tata Motors had bought 21.4 million shares representing 0.73 per cent of the company through open market between February 11, 2019, and February 22, the exchange data shows. Tata Sons holding in Tata Motors increased to 34.34 per cent from 33.61 per cent earlier. At 11:10 am, Tata Motors was trading 9 per cent higher at Rs 196 on the NSE. In comparison, the Nifty 50 index was up 0.24 per cent at 10,890 points. A combined 34.49 million equity shares changed hands on the counter on the NSE and BSE so far.